c) inform you about similar products and services that we provide. These can be stopped at any time by contacting us. We will at all times comply with the standards, procedures and requirements of UK data protection laws to ensure that the personal information you give us is kept appropriately secure and processed fairly and lawfully. We may have to pass your information to countries or jurisdictions that do not provide the same level of data protection as the UK. If we do make such a transfer, however, we will (where necessary) always put a contract in place to ensure that your information is properly protected. In order to process your order and deliver your purchases we may have to pass your information to some of our service providers, such as, our order dispatch service and our delivery company. Our courier company will be informed of your telephone number as they may wish to contact you by phone or text message to update you on the delivery date and time of your order. Any details passed on to these third parties will only be used in the prescribed way and cannot be used by these companies in their own right. On occasion we may notify you by email of changes to our Terms and Conditions or other important updates concerning our website and services. In certain circumstances we may need to use your information in the detection or prevention of fraudulent activity. This may involve disclosing your address and postcode details to check against IMRG Security Alert or any other Fraud Prevention Scheme. Any information you deem incorrect can be updated at any time by clicking here and logging on to our account. We will not pass your information to any third parties outside of She Who Shops Ltd, except where required to do so as a part of the sale, disposal or transfer of our business, in whole or in part. 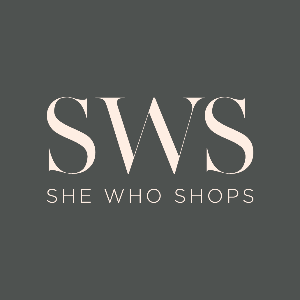 Should you wish to gain a copy of the personal information we hold on you (for which we may charge a small fee) please call us on contact us at customerservice@shewhoshops.co.uk. Our Privacy Statement may change and therefore you should review it regularly. We will notify you of any updates where we are required to do so. If you have any questions relating to this statement, please email us at customerservice@shewhoshops.co.uk. If you have any further questions relating to this statement please contact us at customerservice@shewhopshops.co.uk.